"I have been very impressed with the speed with which my order was dispatched and also the personal attention via the customer support and I'm impressed with the quality. Kind regards John Wills"
"Cartridges have arrived and at less than half the price of my previous supplier I shall definitely be using you again and recommending you to others in the future. Regards Katherine"
"Hi I would like to thank you for the excellent service received ref. cartridges. Received & installed today. Will certainly recommend your company to friends & acquaintances. Sincerely John Syvret"
"I used to use a competitors cartridges but a friend recommended your inks for my Epson DX4000 because they don't dry out like others although I don't even print that often, a pleasant change and I will definitely be using your company again for great value and great inkjets, sincerely Bob and John"
"Hi, Thank you for email, yes I received my order next day, super fast service and goods were perfect many happy days of printing at a very good price. Thank you Mrs Janet Smith"
"Thanks for all your help over the past week. Warmest Regards, Ash"
"Hi Steven, thanks for your time and effort sorting out my order. When recommending your company to others I will praise your customer service and certainly the respect you have shown me. Till the next time we do business, thank you again. Respectfully, J. Stewart"
"Hi I am writing trying to find out how long the LC1000 carts for my Brother printer will last, I bought two sets with 2 extra blacks a year ago and print nearly every day, many documents of all colours and they just keep on going, great value thank you and a pleasure to write you about your great inks. Hopefully I will have to shop again sometime - Linda Lees, a very happy customer." 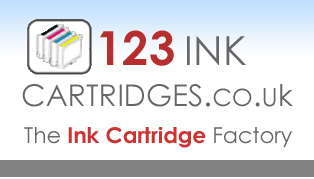 "Excellent fast delivery again - Thank you JB"
My reasons for using 123InkCartridges.co.uk are very simple. 3. Works as well as the original brother brand, (but at a fraction of the cost). What more do you need to know? Dear 123INK, Thank you for the opportunity to receive discount on my future orders. My printer is a HP PSC 2355 which has served me very well - so far ! The order I placed with you today is the first of many I hope - so long as the customer service continues at this level - then I reckon you have another customer joining you. Kind regards Jennifer Rawlings, Business Consultant. Thank you for the above order for ink cartridges which arrived as expected. The packaging was ideal and all was in order. Also, I was pleased with the information e.t.c., I was so freely given when I 'phoned before placing my order. Again, many thanks. R Hugo McClenaghan. "Thanks for a first class service and a good price. What else can you ask for. Cheers Iain." Thank you so much for your rapid response to my query with the Brother DCP-195. A special thanks to the person who called me. It's so nice to speak to real people when you have a problem. Well done 123.....Good luck for the future....A very satisfied 7 year old customer. Ps ..I am going to put all of my friends on to you. Malcolm Wakefield. - Admin - Thank you for your email regarding the cartridges for the Canon Pixma Pro 9000 MkII. To date there have been no reports of any faded or fading prints from any of our cartridges and it is expected that they should give great longevity and be highly comparable to Canon quality and thus without fade over expected periods. We have had independent tests with framed photos placed on window sills for a period of about 2 years and there is no rapid bleaching or fading reported to date. The inks are a very viable alternative to Canon inks, simply saving you money and giving greater flexibility with value packs, where you may select your own colours, avoiding waste or excess colours mounting up over time and accommodating for individual usage, simply giving precise cartridge re-stocking at the right price. If you have any query please do not hesitate to contact us at any time and thank you for your order. 123 Ink Cartridges, In response to receipt of my order, as requested, I am happy to give a personal review of the response. Having used other ink cartridges in the past and learning of 123 Ink Cartridges I decided to give them a try as the cost was more than attractive. Since my first order was fulfilled quickly and efficiently and the print results were great I was happy to submit and promptly receive my last order for even more cartridges. Thanks again. Hugo McClenaghan. Very satisfied with the service. Derek. Excellent value ink which works perfectly in my Epson Stylus SX218. Next day delivery. Couldn't be bettered. The delivery and price on my goods were first class. I ordered in the afternoon and my items were with me the next day. Excellent! Good support in respond to questions. Swift execution of order. Very satisfactory product. Very pleased with prompt service also found you on the Easy Fundraising site! Really satisfied with the service. Ordered ink cartridges one day, they arrived the next. Would definitely recommend them and will use them again. very satisfied with the help from customer support, my ink problem solved very quickly, recommend you to my friends. Thanks for your support. Speed of delivery, and price of cartridges were both excellent. This is the second time I've ordered cartridges and its the second time that I've been very impressed with the speed of delivery of the items. The website is exceptionally easy to use. The web site is extremely good and the service and speed of delivery was brilliant. Thanks and well done. Can't think of any improvements you could make! Excellent service. All Ok, price, post and packaging. The service received from 123 ink cartridges was excellent. The price was the best I have ever paid for this product and the delivery was the quickest. Keep up the good work, thank you. excellent company in every way. placed order easily, good deals with future discounts, speedy delivery. after sales were amazing and extremely helpful. Ordered one afternoon, received by post the following morning meaning that i had little or no "downtime". Excellent service. Very prompt delivery and good value for money. Well priced. Good product. Prompt delivery. If you would like to leave a review please contact us or simply make a purchase. Any difficulties at any time, please contact us.